Ancient temples, pristine landscapes, turquoise waters, tropical islands, soaring mountains, lush jungles, peaceful cultures – Southeast Asia is a region that has it all. And with such low costs to travel in the area, there is no wonder that this is usually the first destination for most young backpackers. But just how much do you need to backpack in Southeast Asia? As part of our goal to help all people come to this spectacular part of the world, we’ve put together this ultimate guide to backpacking in Southeast Asia on budget, complete with the how much accommodation costs, what you might spend on food, transport prices and a list of the most popular activities in Thailand, Vietnam, Cambodia, Laos and the Philippines. Whether you are coming for a week or a year, have $10 a day to spend or $50, this will give you an idea of where you will be spending your money. All prices are in US Dollars, unless otherwise noted. Before you come to Southeast Asia, there are a few things you need to purchase and organise. Some of these can be as cheap or as expensive as you like (i.e. luggage, clothes, etc), but there are some that are pretty standard. The most expensive things you will be looking at are flights to Southeast Asia, and travel insurance. Continually check websites such as Skyscanner, Expedia, Kayak and others in the lead up to your trip. As a rule of thumb, buy your flights as early as possible. But flights to Southeast Asia can work out very cheap if you are flexible with your dates (weekdays are usually cheaper), here is a rough budget for your flights. A wise man once said that if you can’t afford travel insurance, you can’t afford to travel. You might think that you have “nothing worth stealing” or that healthcare is cheap in Southeast Asia. But what if you are permanently injured in a motorcycle accident? Or you get decompression sickness while scuba diving? Or perhaps one of your family members falls ill and you need to go home in a hurry (yes, some travel insurance companies cover you for this!)? This is why you seriously need to consider it. And don’t worry – you can get cheap travel insurance for Southeast Asia! We recommend World Nomads, which is one of the most comprehensive travel insurance companies on the market, and have policies aimed towards backpackers. Editors note there are many other insurance policies available. Choose the right policy for you and shop around and ask questions before you make a choice. As a rough estimate, we have broken up our Southeast Asia Backpacking Budget Guide into “Broke Backpacker”, “Backpacker” and “Flashpacker”, so you can see what type of traveller you fall into. Of course some people travel for a lot more, and some people travel for a lot less. It all depends on how luxurious or basic you like to travel. Travelling as a couple, with a partner or in a group will help keep your costs down as you can split rooms, share taxi costs and negotiate deals on tours and activities. If you have nobody to go with start your trip solo and you should soon make friends in the hostels that will be traveling your way and will be able to share costs with you. Please note that bartering is common in Southeast Asia for most things, such as accommodation, food in markets and tours. But please do not try to squeeze every little cent out of the local people. Remember that they need to make a living, and by you spending an extra $1 here and there can really help to improve the lives of locals. A Buddhist monk master is meditating at the top of the Chiang Dao mount at dusk for the new year in Thailand. 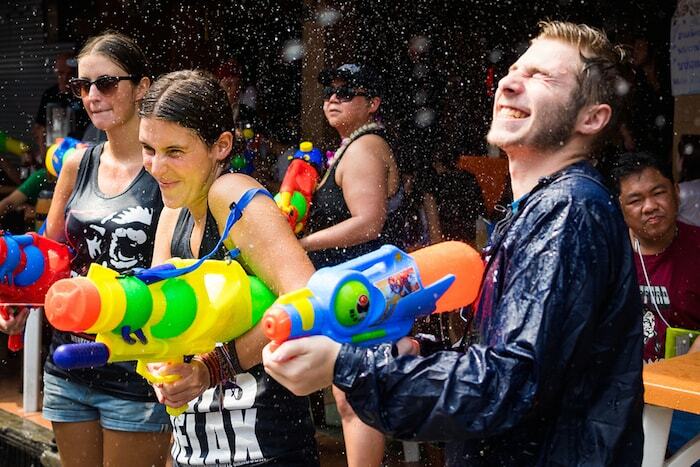 For many young travellers, Thailand is their first foray into the “backpacking” world. 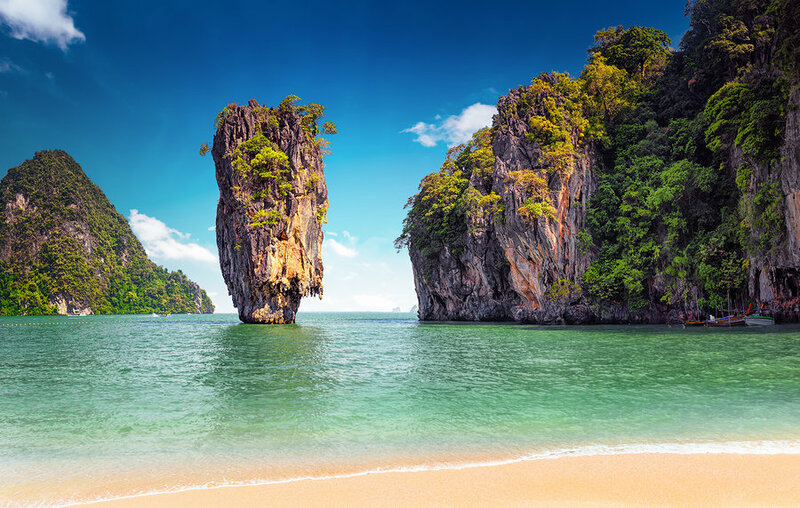 Known as the “Land of 1000 Smiles” due to the kindness and welcoming nature of the Thai people, Thailand offers an enormous number of attractions and experiences as well. No one forgets Bangkok’s golden Grand Palace, the sensory overload that is Khao San Road, the swaying palm trees and clear water on the southern islands, the temples around Chiang Mai, or the infamous Full Moon Party in Koh Phangan. Excluding Singapore and Brunei, Thailand is the most expensive nation in Southeast Asia for backpackers. But if you are careful with your money, and spend more time in the north of the country, it is easy to keep your backpacking budget for Thailand under control. Citizens of most nations receive a free 30-day Visa On Arrival when flying into Thailand, and 15-days Visa On Arrival when entering by land. It is possible to get a 60-day, single entry visa at Thai embassies in Southeast Asia and in your home country. Visas can be extended by 30 days, one time, for $55. If you’re travelling on a shoestring budget, you will want to spend your time in Northern Thailand, where prices are lower. While it is possible to travel in the South, you will barely be scraping by on $15 a day. On a tight budget you will be looking at dorm beds in hostels, or if you have a travel partner you can find very cheap double rooms in small guesthouses. Couchsurfing is big in Thailand, especially amongst the expat scene. Nowhere does great street food quite like Thailand, and luckily for broke backpackers a delicious and healthy meal can be very cheap. The famous food markets are always an excellent place to grab a bite to eat, but you will find vendors selling various dishes on just about every street corner. All the below dishes can be bought on the street for $0.50 – $1, if you get away from the tourist areas. Honestly, the variety of incredible street food you can get in Thailand can be overwhelming. Don’t be afraid to try something new every time. Drinking alcohol in Thailand is pretty cheap, but will still kill your budget if you are not careful. Water is of course the best choice for travelling Thailand on a budget, and you can find reverse-osmosis water machines in a lot of places. These look like white vending machines, and filter tap water. Bring a reusable bottle to take advantage of these. This is the budget that most backpackers in Thailand will fall in, but you will still be living quite thrifty on the Southern Islands. Stick to the North, and you will enjoy a huge level of comfort. Mid-level transport in Thailand is very comfortable, and having some extra money will allow you to take ferries to the islands. There are usually a two options for getting between islands in Southern Thailand – speedboats and ferries. It depends on your budget and time restraints for which one you would like to take. Make use of Thailand’s comfortable train system, and take air-conditioned minivans to the places the tracks don’t go. The best accommodation for solo travellers in Thailand is going to be a dorm bed in a hostel, and with a slightly bigger budget you can stay in some very nice backpacker lodges. If you are travelling as a couple or with a friend, it can work out cheaper to rent a private room and split the costs. Stick to street food and local eateries in the South. In the North you can eat in more restaurants and cafes. 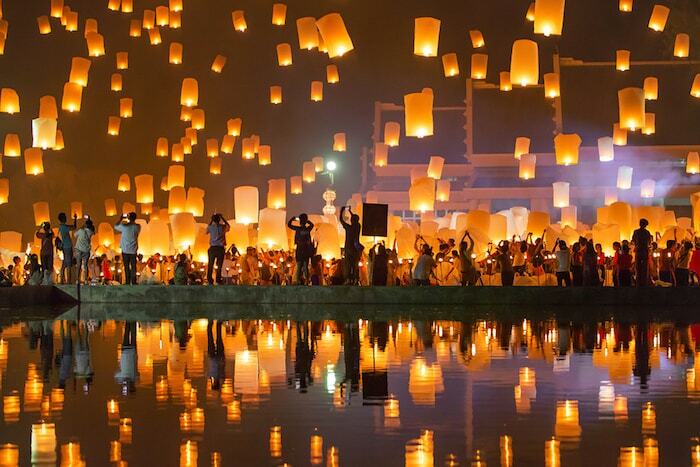 If you like to party, then Thailand is a great place to do it in. Life as a flashpacker in Thailand is good. Really good. Eat the best food, stay in nice accommodation, enjoy a cocktail (or three), and have some money left over for fun activities – all for a fraction of what you live on back home! With a higher budget you can take 1st class sleeper trains (although 2nd class really is quite comfortable), island hop in the south, and even take a few flights around the country. 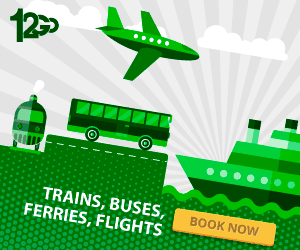 Check out Air Asia, Nok Air and Bangkok Air for the cheapest airfares around Thailand. Skip the dorm beds and enjoy your own private room. If you are sharing the costs with someone you can stay in some incredible accommodations. If you are getting tired of Thai food, splurge out and get a Western meal. Cocktails by the beach, anyone? The list of things to do in Thailand is impressive! Whether you are looking for cultural experiences, true adventure or relaxation, this country has everything in droves! The bustling Thai capital. 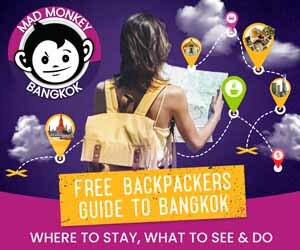 Read our guide to Bangkok here. Thailand’s cultural Mecca in the North. Resort hotspot in the South. Limestone cliffs and stunning beaches. Fun island popular for scuba diving. The ancient capital, and home to spectacular ruined temples. Hippie vibe and gorgeous scenery. A true jewel, and home to the floating lake houses. Not cheap, but worth every penny. If you really want to get off the beaten path in Thailand, head to the province of Isaan and explore the untouched jungles and waterfalls, and delve deep into an authentic Thai culture that hasn’t been spoilt by tourism. 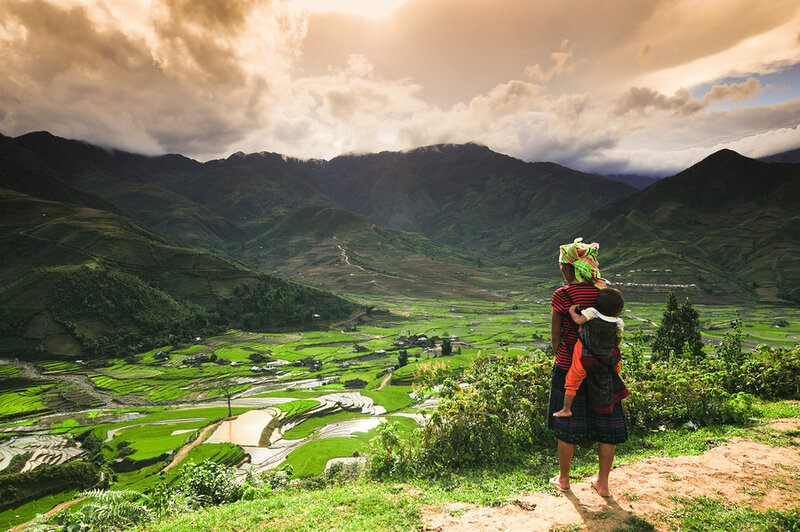 White-sand beaches, coffee plantations, rice terraces, towering mountains, the world’s largest cave, lush jungles and sprawling cities – Vietnam is a nation that seems to have almost every type of landscape imaginable. Besides the natural beauty, this narrow coastal country is filled with delicious food and a turbulent history. With such a fascinating abundance of attractions, it is little wonder that Vietnam often comes out as a backpacker’s favourite place in Southeast Asia. Here is our complete guide on how much money you will need to travel in Vietnam as a backpacker. Yes, you need a visa to travel to Vietnam. 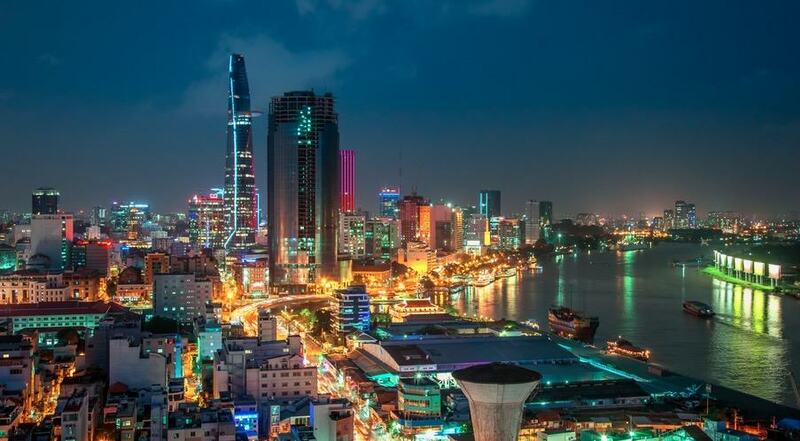 These laws are changing all the time, but currently it is possible to get a 30-day Visa On Arrival (VOA) when you land in Ho Chi Minh City, Da Nang or Hanoi airports. Use an agency like ****** to organise this ***(some offer affiliate programs mate)***. If you are travelling by land you will need to pick up a visa before you arrive. You can do this at a Vietnamese embassy, or through a travel agent like Mad Monkey Hostels in Cambodia. Luckily Vietnam is one of the cheapest countries in Southeast Asia, and getting around on a tight budget is a lot easier than you might expect. Unlike other destinations, it is possible to experience a touch of luxury now and then on a shoestring budget. Hitchhiking: Possible, but not common in Vietnam. On a tight budget you will be looking at dorm beds in hostels, or if you have a travel partner you can find very cheap double rooms in locally run guesthouses outside of the major towns. There is a good Couchsurfing scene in Vietnam, but keep in mind that some locals will ask for money in exchange for you to stay there. Street food in Vietnam is very cheap, and usually very tasty. Vegetarian food may (or may not) be any cheaper than ordering food with meat. Vietnam is one of the few countries in Southeast Asia where drinking beer can be a lot cheaper than drinking water. Especially in the north, where Bia Hoi (cheap draft beer) can be found. 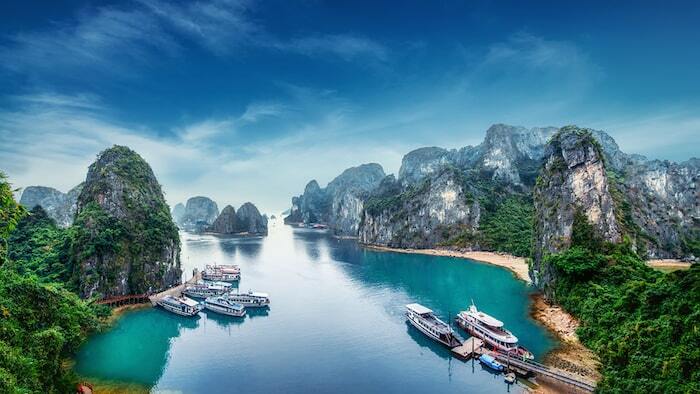 With a slightly higher budget the comfort level improves dramatically, and you’ll have a lot of opportunities to see some great sights in Vietnam. The trains are a good option along the coast, and the sleeper buses are perfect for getting between towns that aren’t on the train line. You’ll really notice the difference in accommodation options with a bit more money in the bank. Make the most of the local restaurant scene, which is quite good. Enjoy a few beers in a bar or restaurant, get some nicer Vietnamese coffee and even get a few fruit shakes now and then. With $30 – $60 a day in your pocket, you’ll be able to live extremely comfortably in Vietnam, and see some of the best attractions around. If you can keep below your budget on some days, this will give you more money to do some truly epic adventures! Use the same sleeper trains and buses to get around at night, and take a taxi for day tours and if you don’t feel like walking around your destination. You definitely won’t be roughing it in Vietnam in terms of where you sleep. Mix up your eating habits with some Western meals, other Asian food such as Chinese or Indian, and splurge out in some delicious Vietnamese restaurants! Drink pretty much whatever you feel like, including imported beer and spirits if you are up for it. For such a diverse nation it is no wonder that there are literally hundreds of things to do in Vietnam. Compared to the rest of the world, each attraction really does offer huge bang-for-your-buck potential. Buying a motorbike can actually work out to be a cost-effective way to see Vietnam. Many backpackers buy a Chinese-copy Honda Win motorbike in Ho Chi Minh City or Hanoi for between $200-300, and some are able to sell these for about the same price. These bikes do break down, but maintenance is cheap. Click here for our guide to riding motorbike through Vietnam or check out the excellent information on Touring Vietnam by bike on Nomadasaurus. Vietnam’s largest, and most modern, city. A picturesque and historic port town. The energetic (and hectic) capital. Southeast Asia’s new adventure capital. Hill tribes and rice terraces. A cosmopolitan and emerging city. Halong Bay on land, only an hour from hanoi. Where the Mekong Delta flows towards the sea. A European city in the heart of Vietnam. Beach town with amazing sand dunes. The original Vietnamese beach resort. The region north of Hanoi offers some of the best scenery in all of Southeast Asia, and few tourists ever make it that far. Take a motorbike or book a tour to visit Ha Giang, Dong Van, Ba Be Lake and Ban Gioc Falls. It’s a land where wild elephants still roam through vibrant jungles and ancient ruins rise from the vegetation in spectacular fashion. Rickshaws fly through bustling streets and smiling vendors sell a dizzying array of fresh fruit and vegetables. Tropical islands that would not be out of place in a Caribbean brochure are scattered off a palm-speckled coast. This is Cambodia. The Southeast Asian nation has been slowly rebuilding itself since the tragic times of the Khmer Rouge, and while infrastructure is still far from perfect, backpacking in Cambodia is still one of the most incredible experiences any traveller can have. The answer to, “How much money I need to travel in Cambodia,” is a genuine, “Not as much as you think.” We have to be honest – Cambodia is our adopted home, and we love it with all our hearts. So here is our ultimate guide to backpacking in Cambodia on a budget. In Cambodia the main currency used is actually the US Dollar. Anything under the value of $1 will be quoted in Cambodian Riel, and any change given that is less than $1 will be paid in Riel. All ATMs give you the option of withdrawing Riel or USD. We recommend withdrawing USD. Most nationalities need a visa to visit Cambodia, but luckily these are easily attained on arrival at land borders and at the international airports. A 30-day Tourist Visa On Arrival is what you will be looking to buy. Cambodia is a great place to travel for backpackers on a tight budget as food and accommodation can be very cheap. Keep in mind though that most of the fascinating sights that Cambodia is known for (Temples of Angkor, S21 Prison, Killing Fields, Koh Rong, etc) are not free. Cosy up with the locals on public transport. Hitchhiking: Possible, but not very common in Cambodia. A lot of basic guesthouses have dorm rooms, but expect barebone facilities and things not to be the cleanest. Travelling with a partner can help split costs. 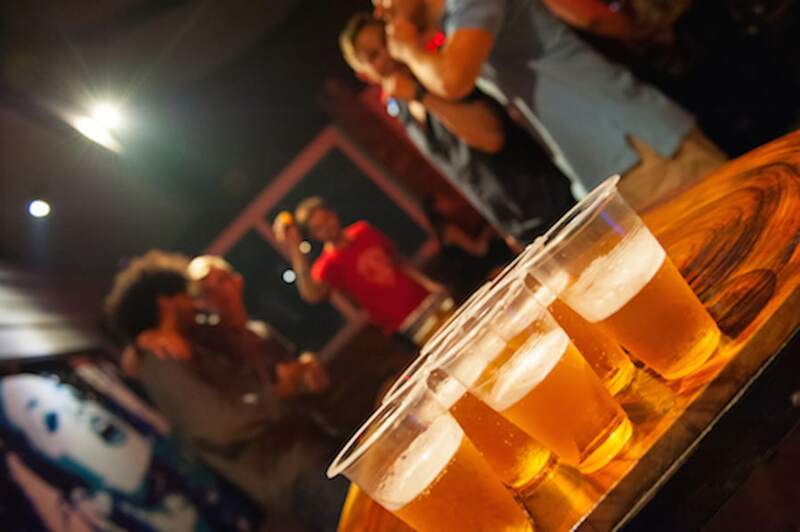 You can sign up for The Mad Monkey Club on the Mad Monkey website and you will get a discount at your stay in all of their hostels, which will put staying at The Mad Monkey within your budget. You will find streetside barbecues and food vendors in all villages and towns. Even in the major tourist areas it is easy to find very cheap meals. Self-catering will be affordable, but may not work out to be as much of a bargain as eating the street food. Bottled water is the way to go, and as usual the larger the bottle you buy, the cheaper it will be. There are some amazing Happy Hour specials to be found as well around the country. Enjoy a higher standard of comfort, some delicious meals in small restaurants, and get around on the wonderful tourist buses (some even have WiFi). There are some excellent and high-quality bus companies in Cambodia. Giant Ibis is our favourite, and they even offer (slow) WiFi on some of their services. Kick back in style with some of the best hostels in S0utheast Asia, Mad Monkey Hostels. You will also be able to find some great deals on private rooms in local guesthouses. Stepping up to the next level, the food in Cambodia is actually very tasty, and sometimes healthy as well! Don’t miss the fish amok curry, a tourist-style dish that is popular with hungry backpackers. Don’t miss out on the Happy Hour specials in the bars, where you can get 2-for-1 cocktails, cheap beers and spirits. Live like a king or queen as a flashpacker in Cambodia! Private air-conditioned rooms, taxis, top-of-the-line food, and most importantly, a chance to experience the best attractions and activities in the country! 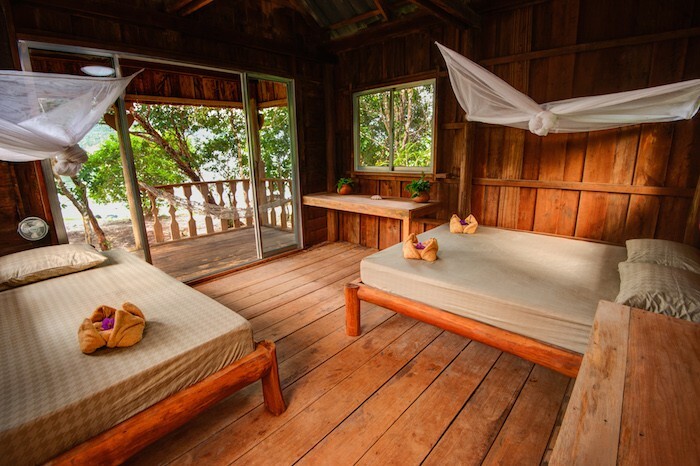 Rent out private rooms in funky and bustling backpacker hostels in Cambodia, and get your own private bungalows with en-suites right on the beach! You’ll get a huge selection of Western meals and high-end local dishes in Khmer restaurants. Live it up in nice bars and clubs, or kick back with a cocktail on the beach. While the UNESCO listed Temples of Angkor are undoubtedly the best attraction in the country (and perhaps all of Southeast Asia), there are a lot of other sensational things to do in Cambodia. Whether you are there for a week or a month, you will have no shortage of places to visit and sites to explore. Home to a lot more than just Angkor Wat. The popular and busy beach town. Arguable Cambodia’s best tropical island. A large city with a fascinating history. Jump in a bus and head to Sen Monorom, home to elephant camps, jungle hikes, and cascading waterfalls. The dusty village is interesting enough to hold your attention for a day or two, then continue to head further north. After years of being skipped by unsure backpackers, Laos has finally cemented itself on the Banana Pancake Trail. But while raucous tales of the infamous tubing in Vang Vieng still echo in hostels around Southeast Asia, those who take the time to explore past the Nam Song River are blown away by the diversity and off-the-beaten-track experiences Laos has to offer. 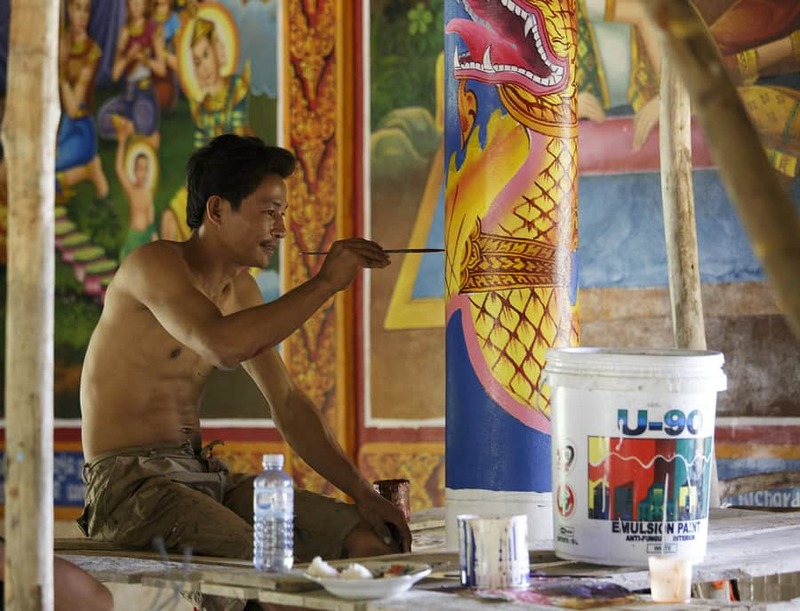 Whether you are interested in the French Colonial city of Luang Prabang, the rugged and dense jungles around Luang Namtha, or the relaxed island vibe around Don Det in the 4000 Islands, you will never run out of things to do in Laos. What it lacks in the historic sites found in its neighbouring countries, it makes up for in serene beauty and welcoming locals. Backpacking in Laos on a budget is very easy to do, and also very addictive. A tourist visa on arrival is available for most nationalities visiting Laos, and can be picked up at international airports and land borders. These are valid for 30-days, and can be extended at police stations. Cost: $30 – $42, depending on nationality. If you’re travelling on a shoestring budget, Laos is a wonderful place to explore, and boasts some of the cheapest accommodation found anywhere in Southeast Asia. The transport is basic, but runs quite regularly. Hitchhiking: Possible between major cities, more difficult in the North. If you don’t mind basic and rustic accommodation, you can sleep for only a few dollars a night. Vientiane is more expensive, so consider staying outside of the city centre. Keep an eye out for baguettes, which will be your cheapest, and most filling, meal. Drinking bottled water will keep your budget down, but it would be a shame to not try at least a few Beer Lao’s during your stay in the country. Lao Lao whiskey is also known as the cheapest liquor in Asia – beware its potency. Backpackers living on $20 – $30 a day will have no problems finding great accommodation and eating huge amounts of the delicious blends of cuisine that Laos is known for. Air-conditioned buses and minivans connect all major towns in Laos. Hostels in Luang Prabang, Vang Vieng and Vientiane will offer good value, but you will be able to afford a private room everywhere else in the country. Lao food is known for delicious influence coming from Thailand and Vietnam (with a good dose of French being thrown into the equation). Eat to your heart’s content! Stay away from the Lao Lao whiskey (unless the locals ask you to join them for a drink), and enjoy arguably Southeast Asia’s best beer – Beer Lao. Take tourist buses and minivans booked through travel agencies to get to all major towns, and book taxis for day tours when and where you want. Skip the dorm rooms and instead stay in nice hotels and guesthouses in major towns. Laos has some wonderful French restaurants around Luang Prabang and Vientiane, and a whole range of funky cafes and Western bars to splash out at. Live it up in boutique bars and clubs, or kick back with a cocktail on the beach. Laos doesn’t have the huge number of big-ticket attractions like Thailand, Vietnam or Cambodia has, but that doesn’t mean it isn’t worth spending a month there! For many backpackers, bar-hopping and floating on a tube in Vang Vieng, kayaking in the 4000 Islands or wandering through the remarkable Plain of Jars become some of their best travel memories in Southeast Asia. The slightly boring capital city. A French-style town on the Mekond River. The most beautiful, and debaucherous, village in Southeast Asia. A beautiful and quiet village in the north of Laos. An industrial town with a lot of history. Busy town with a spectacular motorbike loop around it. Small city and launching point for the Bolaven Plateau. Cobblestoned streets and French architecture. The most popular backpacker island on the Mekong River. Continue further north past Luang Prabang, and head to Luang Namtha. Striking mountain scenery, bamboo villages and curious minority people await in the marvellous Golden Triangle. Alesha and Jarryd, otherwise known as Lesh and Jazza are an Australian couple who have been travelling the world together since 2008. But before that, we both were solo travellers, with Lesh exploring Australian, New Zealand, the UK, the US and Canada, and Jazza hanging out in Canada being a ski bum and full time partier. They met in a hostel in Vancouver, then spent the next few years travelling around Canada and living in an awesome van, called Latoya.